We strive to share as many free educational resources for you that we can! Our company is made up of current and former classroom teachers, and we know the challenges you face. We search for, create and share the kind of quality resources that can really make a difference in your classroom. [/vc_column_text][vc_row_inner][vc_column_inner width=”1/4″][vc_single_image image=”10362″ img_link_target=”_blank” img_size=”171×171″ img_link=”https://gisetc.com/blog/”][/vc_column_inner][vc_column_inner width=”1/4″][vc_single_image image=”10381″ img_link_target=”_blank” img_size=”171×171″ img_link=”https://gisetc.com/category/cougars-corner/”][/vc_column_inner][vc_column_inner width=”1/4″][vc_single_image image=”10382″ img_link_target=”_blank” img_size=”171×171″ img_link=”http://gisetc.us1.list-manage1.com/subscribe?u=b724f3143460d3b4701ebe9a0&id=aaf752be8e”][/vc_column_inner][vc_column_inner width=”1/4″][vc_single_image image=”10376″ img_link_target=”_blank” img_size=”171×171″ img_link=”https://gisetc.com/map-portals/”][/vc_column_inner][/vc_row_inner][vc_row_inner][vc_column_inner width=”1/4″][vc_single_image image=”10383″ img_link_target=”_blank” img_size=”171×171″ img_link=”https://gisetc.com/standards/”][/vc_column_inner][vc_column_inner width=”1/4″][/vc_column_inner][vc_column_inner width=”1/4″][/vc_column_inner][vc_column_inner width=”1/4″][/vc_column_inner][/vc_row_inner][vc_row_inner][vc_column_inner width=”1/1″][vc_column_text]Our Blog –We are constantly searching the internet and the digital waves for the best free educational resources and curate those here for you to use in your classrooms. Our daily blog is the perfect way to stay on top of things! Kid’s Corner – Our Kid’s Corner is series of science and GIS-related resources, games, apps and art projects designed for children and the young at heart. Newsletter – can’t keep up with the blog every day? Sign up to get a monthly archive of our free resources, as well as the latest news from GISetc. 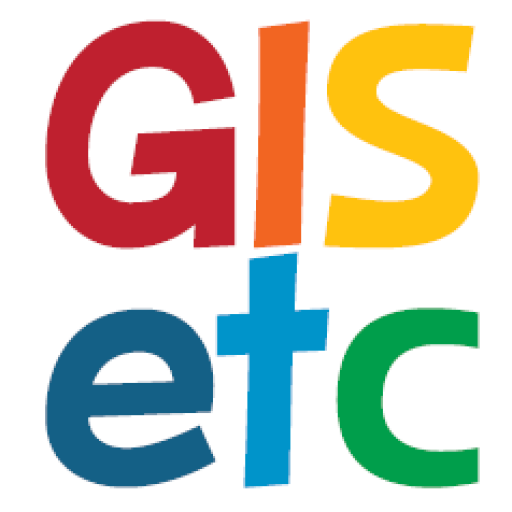 Map Portals – These portals or galleries focus on 20 Minute GIS, Agriculture, English, History, Earth Science and more! Perhaps you’re ready to get mapping fast in one of our Map Portals!